San Francisco embraces the intertwined relationship between fashion, retail and technology like no other city. Understanding this relationship, San Francisco Fashion Merchants and Alliance, Inc. (SFFAMA) will present San Francisco Fashion Week 2016 on September 24, 2016 - October 2, 2016. With the city being known as the ultimate hub where technology and fashion intermix, it’s only fitting that this year’s theme is “Tech Drives Fashion.” San Francisco Fashion Week 2016 will explore how technology has become an integral part of the fashion industry by showcasing emerging and student designer collections, virtual reality, 3D fashion, fashion tech, wearable tech, retail and so much more. 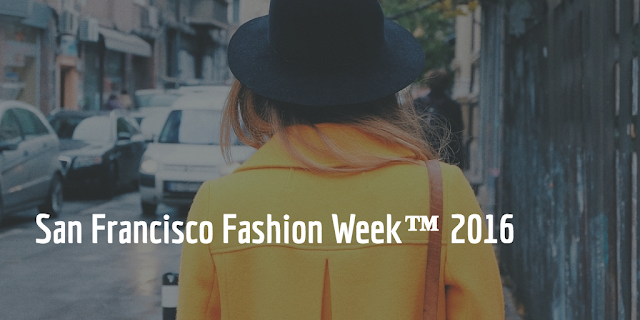 Join them in this fashion revolution during the 7th annual San Francisco Fashion Week 2016 and explore how “Tech Drives Fashion” in the world’s leading hub of technology. San Francisco Fashion Week™ 2016 is a celebration highlighting the strategic convergence of fashion, design and technology unique to the San Francisco fashion industry. Attendees include key influencers in fashion, retail and tech, entrepreneurs, startups, students, the design-world community, and a full range of industry, city and institutional professionals. This city-wide event will feature multiple locations celebrating the style, spirit and leading innovation of San Francisco fashion. *** San Francisco Fashion Week™ 2015 [http://www.sanfranciscofashionweek.net/] is a trademarked property of [SFFAMA] San Francisco Fashion And Merchants Alliance, Inc. We are the OFFICIAL San Francisco Fashion Week™ and ‘NOT’ affiliated with any other fashion week organizations from San Francisco.